Working with a Raspberry Pi is all fun and games, until electrostatic discharge or a high voltage blows up the GPIO port. You don’t want to destroy your favourite compact computer, right? 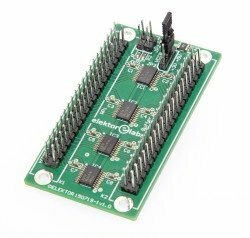 Fortunately, Elektor offers a simple, affordable solution — the Raspberry Pi Buffer Board, which you can purchase on GroupGets for only $22 (~ €19.32) if you join the group buy by Saturday, February 9, 2019.